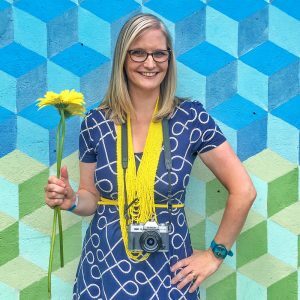 This post is the first in a new series here on the blog. I’ve noticed that when I share photos of an event I’ve been to in Maidenhead, I often get lots of questions or people wish that they had known about it beforehand. 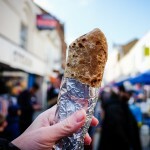 I figured that perhaps I can remedy this by sharing my #lovemaidenhead photography and writing about my experiences. 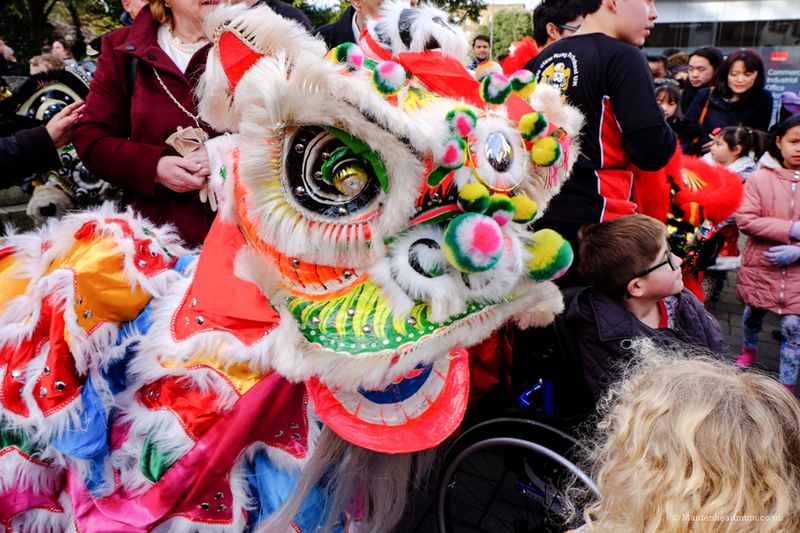 So here is my first ever ‘Maidenhead Moments’ post showcasing the Chinese New Year Parade. 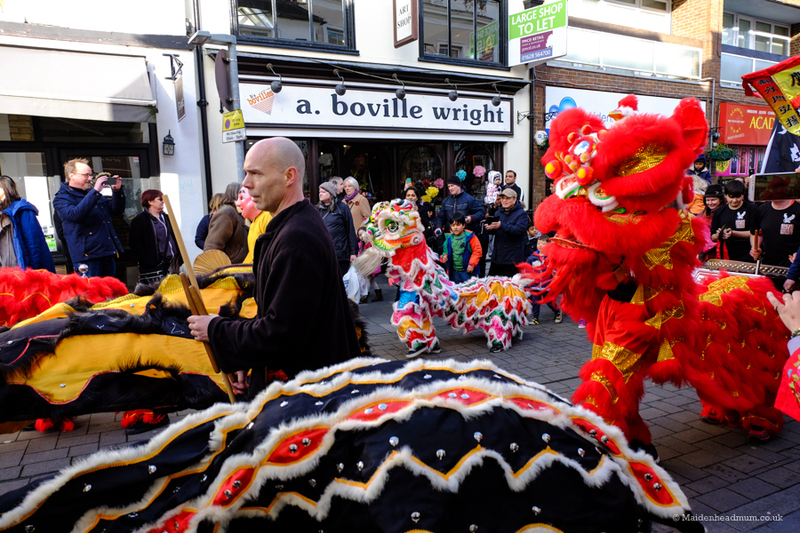 The parade fills the High Street with colour. 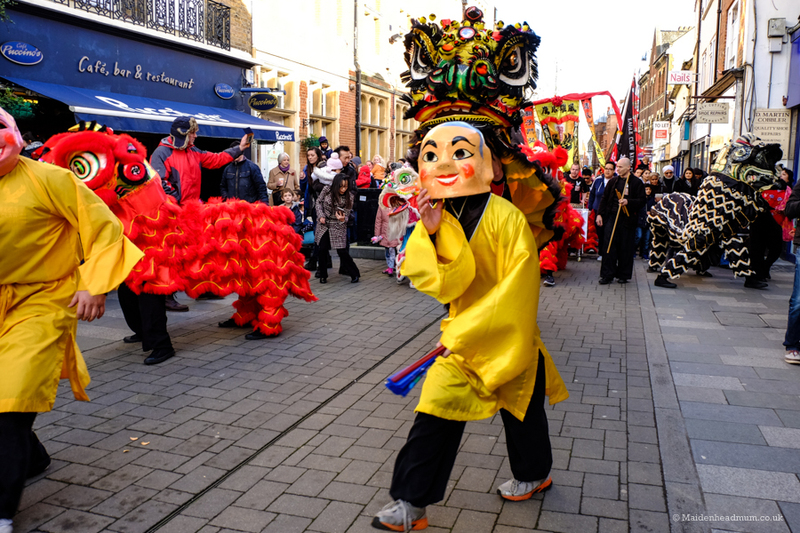 Where and when is the Chinese New Year parade in Maidenhead? Ok so first things first, these images are all about the parade in 2017. If the magic of Google has brought you here at any other point, you might want to double check the enjoymaidenhead website for the right date. This year it was Saturday 28th January and it all started at 1pm at the top of the High Street next to the Boy and the Boat statue. 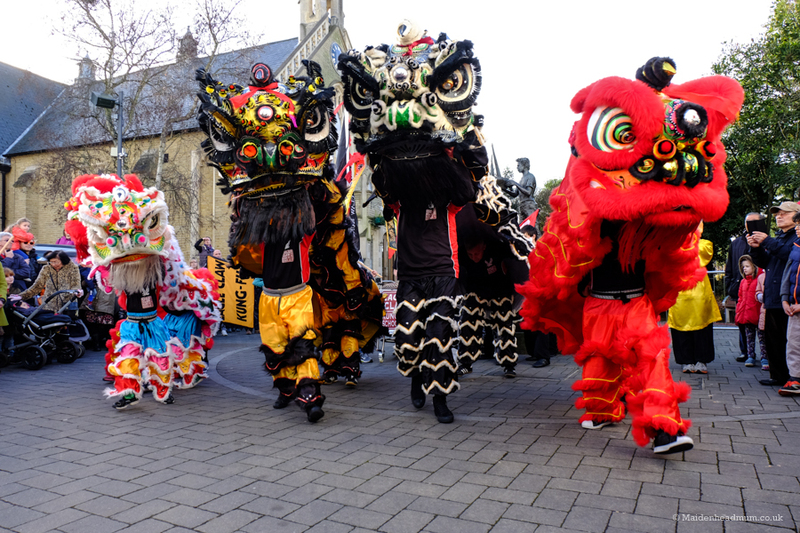 The 2018 Chinese New Year Parade is on Saturday 17th February and starts at 1pm. The firecrackers were very noisy and there was some smoke which added to the excitement. There were plenty of opportunities for the crowds to take photos with the lions. 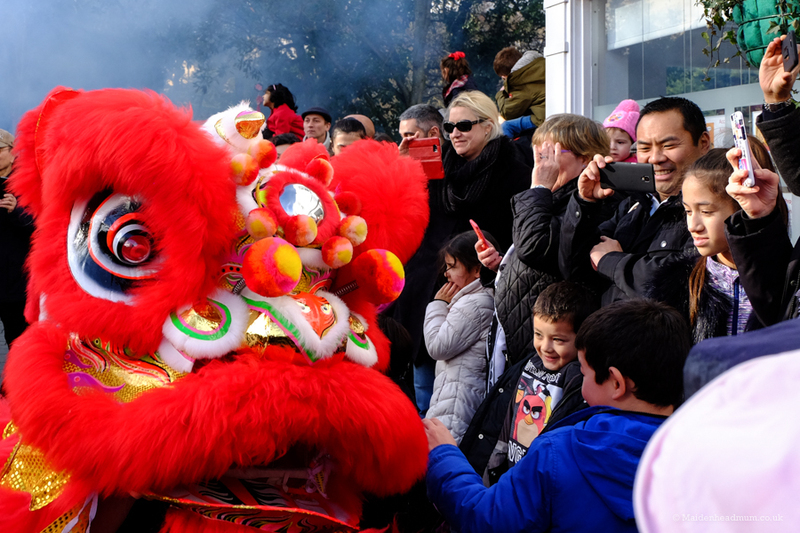 The ceremony started with firecrackers being set off and then a traditional ritual where they dot paint onto the lions. After that the lions walk, dance, jump and shimmy down the High street towards Wilkinsons and then back again, all to the beat of the drums. It’s loud, vibrant and lots of fun to watch. The lions bought the High Street to a standstill! Lots of children loved the white and rainbow coloured lion. 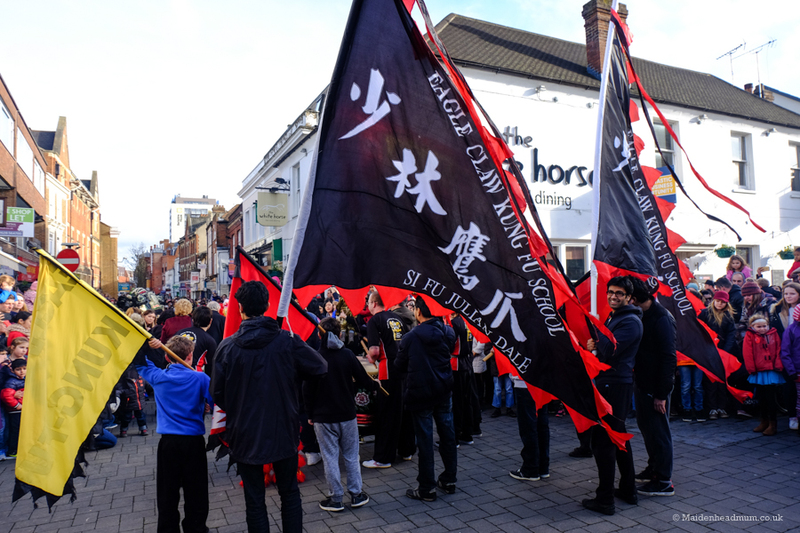 The parade is organized by Eagle Claw Kung Fu School who are based in Maidenhead and they have performed the Lion Dance here on our High Street for 12 years. This was their biggest year yet, with lots of new team members, lions and new additions. I loved seeing the mini lions dance alongside the bigger lions. 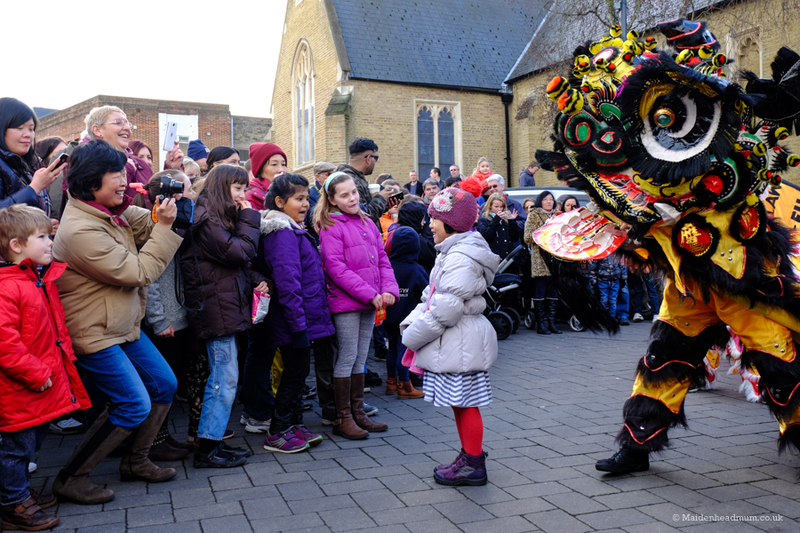 Great that the age range is from 9 years to 50 years for the lion dancers! A little girl meets the smallest lion. 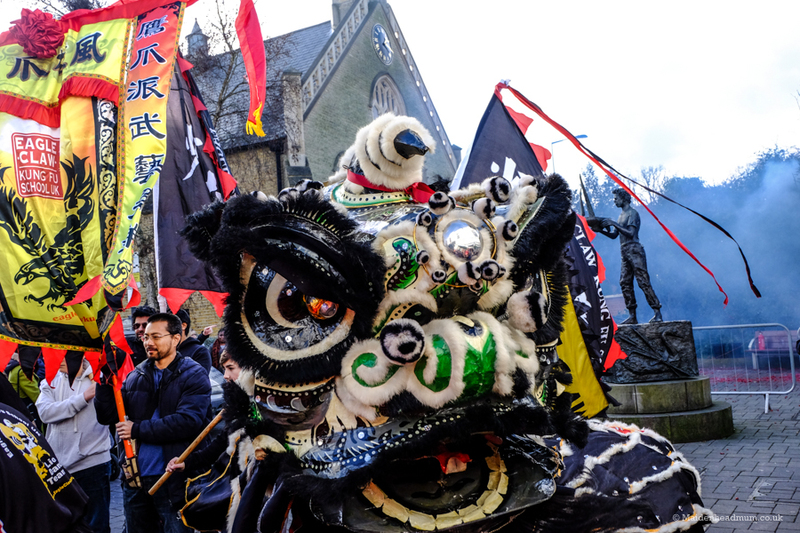 The ceremony is a public version of The Lion Awakening Ritual (Deem Jing). It involves dotting paint onto the lion as a symbol of life-giving, awakening each point of the lion so it comes to life. 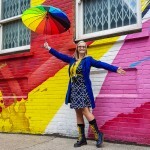 This part of the ceremony took part at the top of the High Street and the Mayor and Deputy Mayor of Maidenhead were invited to put paint onto the Lions before the parade went down the High Street. 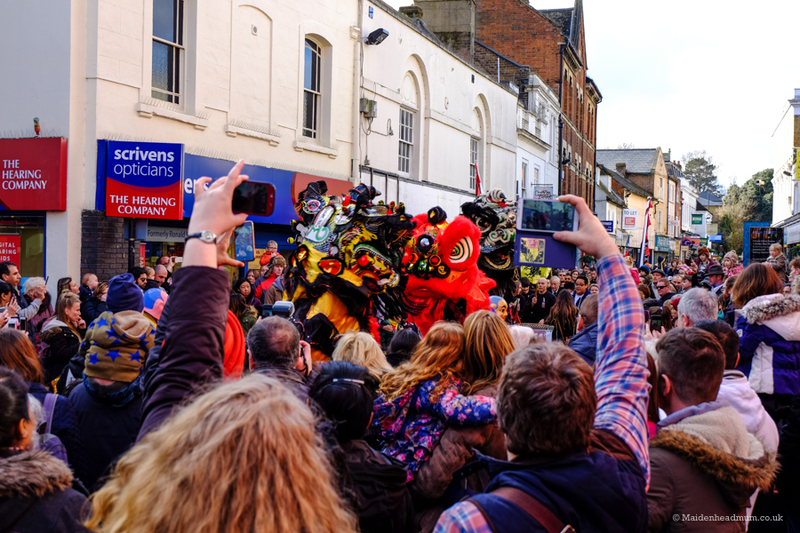 Can anyone get involved with the Chinese New Year Parade? People celebrate Chinese New Year all over the world and my daughter learned all about it in school. The great thing about this event is that you don’t need to travel to London to get involved. It’s right on your High Street and it’s free to come along and watch. 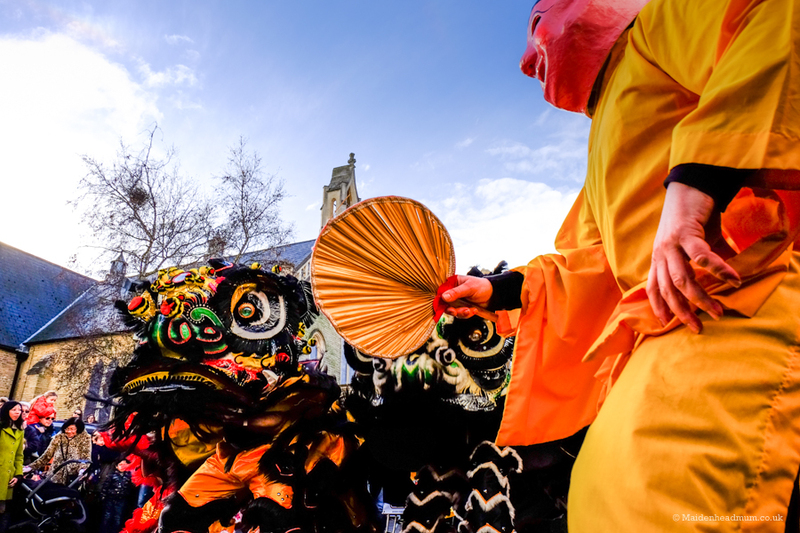 “We perform at many weddings, events, business openings and restaurants all throughout the year, but our busiest time is during Chinese New Year. Sophie She Jie, Eagle Claw Kung Fu School. You can find out more information about Maidenhead Kung fu school on their website or on their facebook page. I was amazed that this was the first time I’ve seen the parade even though I’ve lived here a few years now! I wasn’t quite sure what to expect but I was blown away with how bright and vibrant they were. I loved it when the lions raised their heads and soared above me and the crowds. 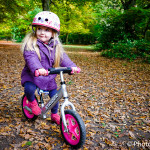 My two children are 4 and a half and 1 and a half and they didn’t come with me this time as I was busy taking photos. I’d love them to see it next year although I would be sure to warn them about the firecrackers being set off. One of my favourite moments was right at the start when a little girl stood in front of a lion to have her photos taken and had no idea that the lion was sticking it’s tongue out at her all the while, much to the crowd’s amusement.